Our client’s business is based around food manufacturing. They wanted to expand and grow their business and felt that the best way to do this was to start a production line. They had already bought the premises that they traded from and secured the borrowing for this against the building. The finance for the production line, therefore, needed to be unsecured. Asset finance was considered but the client’s circumstances dictated that they needed the money quickly and easily. 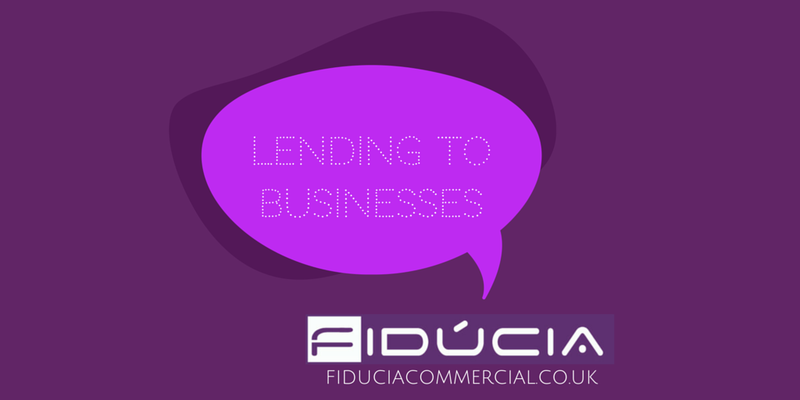 Using our contacts for unsecured business lending we were able to raise £100,000 quickly and at a competitive interest rate. Funds were in the client’s account within 5 weeks of their initial meeting with Fiducia and just 2 weeks from the date that the application was submitted to the lender. We were recommended to this client by North Kesteven District Council. Following the recommendation one of our Senior Advisers took the time to speak to the clients and get to know their business and objectives for the future so that they were able to accommodate the client’s needs with the correct funding solution. Posted by Unknown at 03:27 Click here to add your comment! So you run a business, but have either not protected your business assets (tangible or intangible) – or you may already have insurance in place but you’re not sure if you are either paying too much or have even have the right level of insurance cover. At Fiducia, our business insurance team take the time to understand your business and insurance needs. This is crucial so that we can advise and place the right level of cover for your business. All of our clients come to us as we know what we’re talking about. If insurance is not your forte, our experienced and knowledgeable insurance brokers in our commercial team will do all the legwork, speak your language and help you make the right choice - we also work very closely with our insurance providers that have access to over 200 products. Business insurance is crucial in protecting the fundamental elements that either directly or indirectly support your business. Have you thought about how expensive it could be to replace lost, stolen or damaged assets? Would it put a massive strain on your cash flow? By having insurance, you can essentially reduce the risk of disruption to your business and in some cases it could be cheaper to insure the item than to purchase it again. · Always have contingency plans in place, especially for businesses that need to protect their mission-critical resources. · Regularly review your insurance policies to check everything is adequately protected and more. · Have an expert review your business in order to ensure that there already is adequate cover in place or so that new policy can be considered. Accountants, solicitors, offices, garden centres, retailers, builders, pubs, night clubs, restaurants and many more. We cover many businesses so contact us, even if your business has not been listed. Speak to our business Insurance brokers if you would like to insure your business or if you would like to review and renew your policy. Give us a call on 01529 410 747 or request a callback today. Posted by Fiducia Group at 02:47 Click here to add your comment! Protection has become more important than ever and in some cases, people are regretting not taking this out. Whether you choose to protect your family, your business or your mortgage, you can have a true sense of security knowing that if and when any unforeseen circumstances occur, you will be protected from the offset. People often think that protection is quite expensive, but in many cases it can be very affordable. What types of Personal Protection are there? At Fiducia, we have access to a number of product providers so that we can obtain a product to suit each situation. Our advisers take pride in the work that we do – we will work and discuss these with you to help you find the right protection solution for you and your family. 1. Set a budget for this, be realistic and take into consideration the true values. 2. Make sure your protection covers everything that you can expect to happen and in some cases, more. 3. Regularly monitor your Protection package and policy to ensure everything is protected. · We would like to thank you for your assistance in sorting our protection arrangements. We had several policies in different places and you were very helpful in discussing our requirements and arranging the policies. We would definitely recommend Fiducia to all our friends and family. · A big thank you to Ben Scott at the Mansfield office for his professionalism. I normally dread anything to do with insurance as I associate it with tedious form filling and endless questions which take up precious time. Ben made the whole process easy for me and saved me money. Result! Call Fiducia Comprehensive Financial Planning today on 01623 666 844 for specialist Protection advice or request a call back. Posted by Fiducia Group at 07:21 Click here to add your comment!